15 minutes later, with a knock at the door, we have dinner! 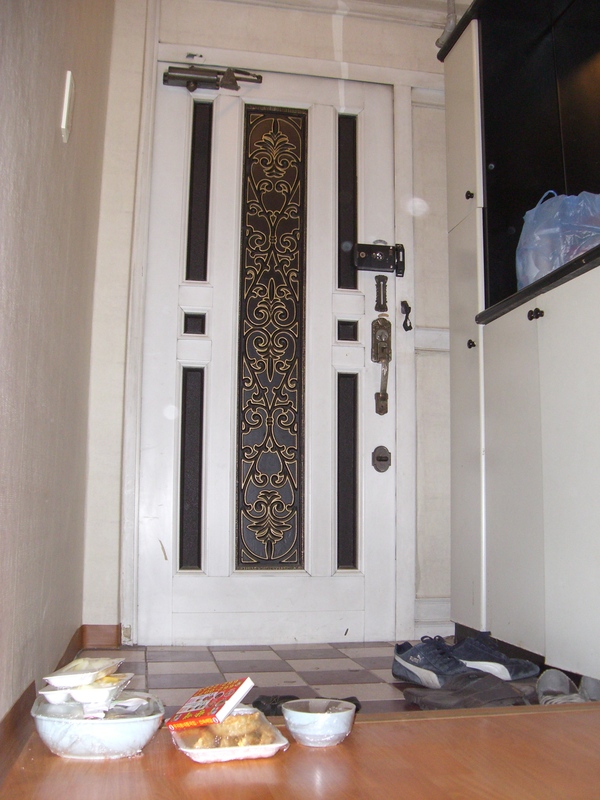 For those who have not seen our Korean home, this is the entryway/front hallway of our apartment. To the right is the shoe shelf, mirror, umbrella, etc. storage and right there on the floor is where our delivery man brought and set our dinner! 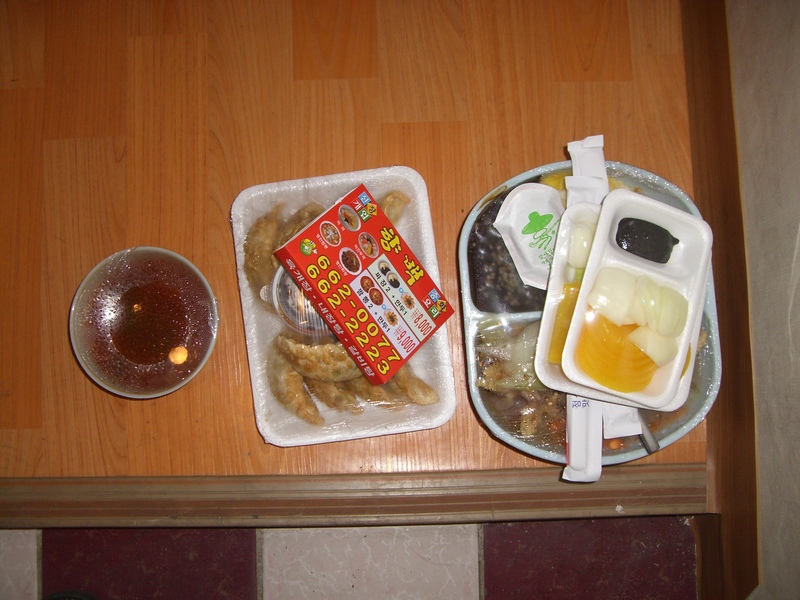 From top left corner (proceeding clockwise): radishes, onions, and dipping sauce; spicy soup; promo box of toothpicks; utensils (note: disposable wooden chopsticks, but a legit spoon); entree: R side is sweet & sour, L side is fried rice; and last but not least mandu (dumplings) with special soy sauce. Did I tell you that I had one happy husband? *the real reason he is so happy is that there were no dishes to do…set them outside the front door (near the elevator) and by morning they’re gone! 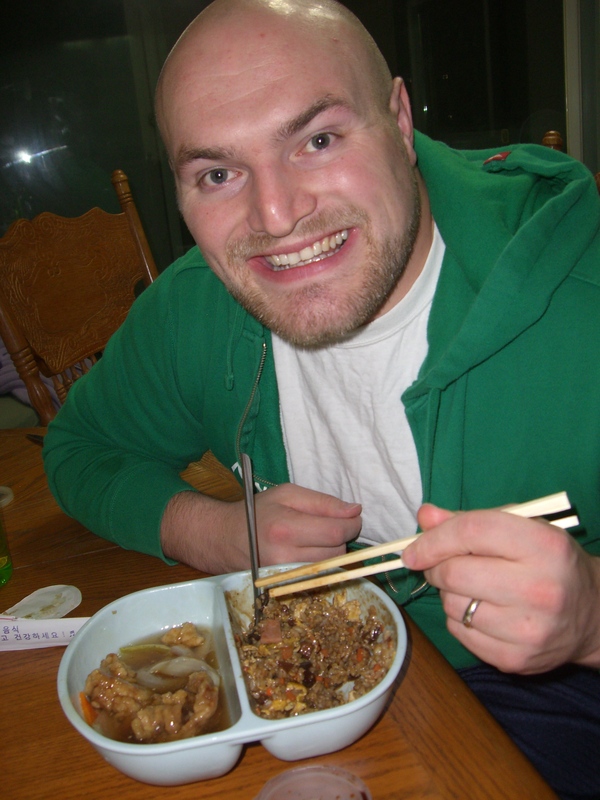 What is one of your favorite unique experiences from living overseas?